Through extensive research and consultation with women in industry, Sisi has launched a range of safety wear that challenges the status quo that one size fits all. With an understanding that not all women are shaped the same, Sisi introduces the first range of locally manufactured safety wear to offer 3 UNIQUE CUTS FOR WOMEN: Standard, Extended and Maternity. Incorporating internationally recognised finishes, such a VizLite™ reflective tape and YKK zippers, Sisi has once again shown its commitment to empowering the lives of the women who shape our world. THE STANDARD CUT: This cut caters for the typical differences between a woman’s and a man’s body, accommodating for the hip and bust areas. 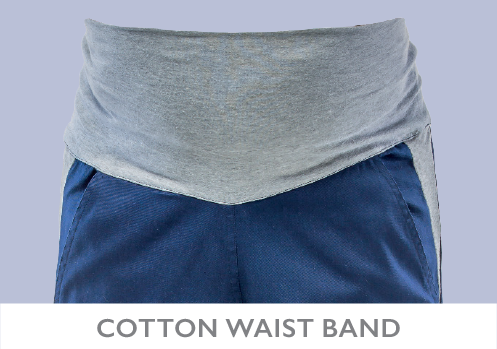 THE EXTENDED CUT: This cut has been designed to accommodate for a bust size that is not typically proportional to the waist area and a larger posterior that is not typically proportionate to the hip area. THE MATERNITY CUT: This cut has been designed to accommodate for a bust size that is not typically proportional to the waist area and a larger posterior that is not typically proportionate to the hip area. All trousers and jackets are sold separately to ensure that those with large bust areas, but small hip areas, or vice versa, can still ensure a comfortable fit. 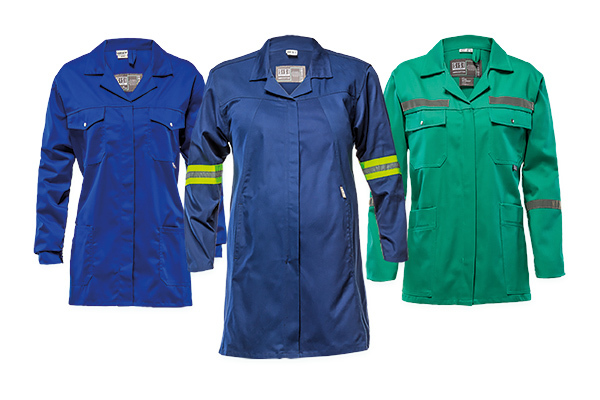 This Sisi range further caters to the functional requirements of women in industry, placing emphasis on creating garments that not only fit comfortably, but also address the practical requirements of those wearing safety wear in the field, often in the company of men. Apart from the extensions made to the length of garments to prevent the exposure of the back and midriff areas when bending over or raising arms, our range of boiler suits has looked to maintain the dignity of women in the mining industry who are often challenged by the practicalities of using ablution facilities when wearing standard boiler suit. 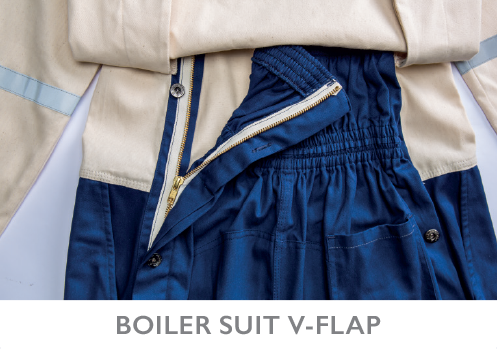 The V-flap enables women to easily relieve themselves on-site without having to remove the upper part of the garment and expose themselves, while the darker colour featured on the upper thigh and hip area of our unbleached boiler suits prevents the exposure of sanitary accidents while on-site. These women are geared with more than just safety wear and often have to carry around or wear other equipment, such as hard hats, cap lamps, belts, rescue and sanitary packs and the like for the entire day. The inclusion of the V-flap ensures much-needed convenience and keeps them from having to remove all of their gear before using basic on-site ablution facilities. Sisi is proud to introduce its inaugural range of safety wear, shaped for women who shape our world.